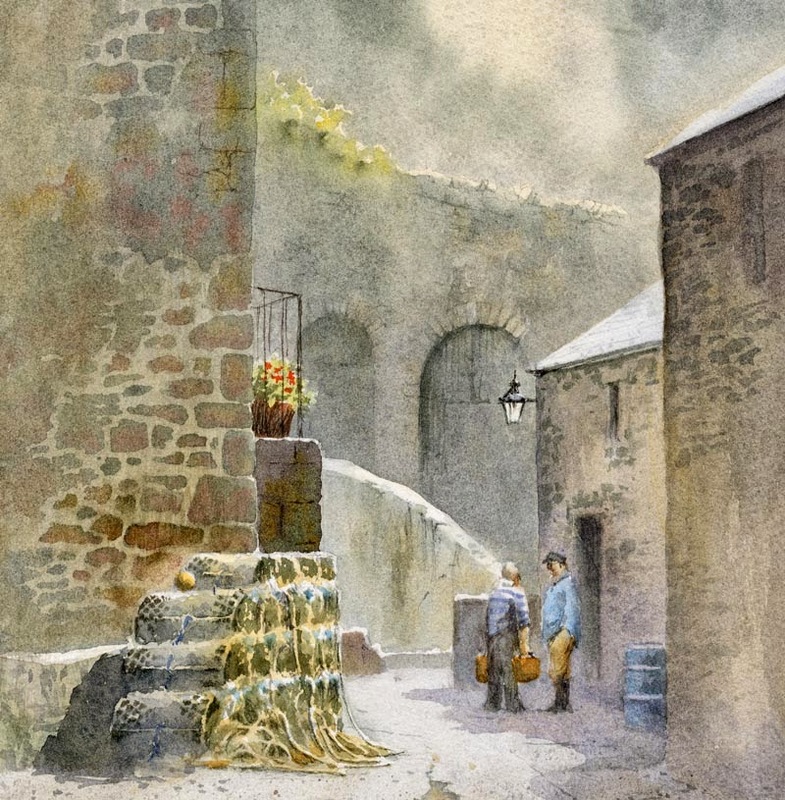 This entry was posted in atmosphere, David Bellamy, lost and found effects, watercolour, Waterford watercolor paper, wet in wet technique by David Bellamy. Bookmark the permalink. I absolutely adore the old but lovely stone walls. Thank you for explaining the technique of painting it and revealing the colors used. I can’t wait to try it out. Just in time as I’m painting a scene with dry stone walling set in Betwys Y Coed . Thank you for your great blogs! I agree about the slow broadband in Wales,very frustrating at times. Kudos to you, Dom. That is the true spirit of learning tp paint from a Master Painter, David himself. Both of you are an inspiration for those of us who are striving to get better in painting. I enjoy reading David’s blogs and hope that he will continue to write them for the sake of his students all over the globe. Despite the frustration of the slow broadband in Wales. I live in Canada and love the opportunity to learn from artists from UK through their books, DVDs, blogs and Youtube. Painting has helped to save me from severe depression after a serious car accident, which has now left me permanently disabled and unable to work. Despite the fact that I have chronic pain and cannot sit, stand or walk for long, I am able to paint sitting down with frequent breaks. I have gone to weekly Art class for two years now. You can say that painting has given me inspiration,hope and some quality in life. Hi Helen I too think painting has saved my life I too have depression and a chronic pain condition and painting has changed my life. Thanks to people like David and Jenny they inspire so much it makes the often impossible times seem much more bearable. Painting truly is an art of discovery and inner strength my best wishes go to you too.